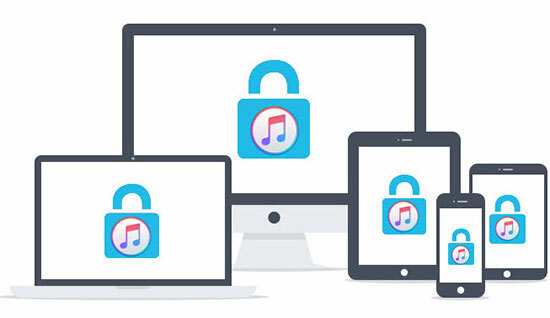 When you search the software to remove DRM encryption from iTunes digital media files on search engine or some famous forums, it must show up the powerful iTunes cracker, namely Requiem on the answer list. Requiem is able to remove almost all iTunes digital media files, such as iTunes movies, TV episodes, music, iBooks, etc. Besides, it is worth mentioning that most are: this smart iTunes DRM removal tool is totally free of charge, which releases iTunes movies addicts from the restriction of DRM. However, the most disappointing of all is that Requiem has been out of update on 2012 because of losing the battle with Apple Inc., so it might be not able to work with the latest operating system and the latest version of iTunes. So if you would like to get rid of DRM limitation from iTunes media files and you aim to seek a perfect alternative of Requiem, you can just read on this article to find the answer. Developed by Brahms, Requiem, an all-in-one DRM removal software, is a totally free iTunes FairPlay DRM removal tool. The first version was released in 2008 and the last version, called 4.1 Requiem was created in 2012. Many Users use Requiem app to strike out DRM from the digital media files they purchased from iTunes before and it enables you to get the lossless quality as the original iTunes files. For several years, it is always rated as the best DRM removal freeware for its usability, features, decryption method and free or charge. 1. Super Easy to Use and High Performance. All your need to do is download and install the software and then run it, it will automatically scan and unlock the digital media files which are downloaded or imported in the iTunes library quickly. 2. Powerful Features. Requiem has wide support for file genres. No matter what kinds of media files like iTunes video, music, audiobook, iBook you have, you can always have Requiem to strip the DRM limitations. 3. Lossless Decryption without Encoding. Requiem uses the secret credentials and decryption routines to authenticate and unlock DRM protection straightforwardly just like iTunes without trans-coding your files. In consequence, the quality of the files is 100% retained except the DRM info is removed. 4. Totally Free and Support Both Windows and Mac. You don't need to pay for any money to download Requiem app to your computers either Mac or Windows computer. It supports the computers with iTunes 10.6 and 10.7 only. On a Mac computer, you can download and install Requiem directly on a Windows computer, please make sure you have installed the Java Runtime Environment on the computer. Though Requiem is a wonderful tool to get rid of DRM from iTunes, today it may not work in the some computers with the new iTunes versions 10.8 or above directly. I would not advise to downgrade the operating systems and iTunes versions to make Requiem work as it may take up much time. For a user who is busy, it is highly recommended to find an alternative DRM software to solve any DRM problems promptly. By searching online for a long time, we found that there is not a comprehensive software which can fully supports videos, music, audiobooks, iBooks like Requiem. But please don't panic, there are lots of DRM converting tools to remove DRM for each kind of files like video, audio, book. Take the iTunes video for instance, you can use DRmare M4V Converter for Windows/Mac. It is highly recommended as a best Requiem replacement to convert iTunes movies, TV shows, music videos and iTunes Extras. 1. Similarly to Requiem, DRmare M4V Converter is easy, fast, and lossless. In general, you can remove video DRM with only 3 steps, including add files, customize settings and convert your iTunes videos without affecting the output quality. To see how this smart iTunes DRM remover actually works, you can look at the full tutorial: How to Remove DRM from iTunes M4V Videos Losslessly with DRmare. 2. DRmare M4V Converter supports almost any kinds of operating systems including Windows XP/Vista/7/8/10 and Mac OS 10.8/10.9/10.10/10.11/10.12 Sierra with the latest iTunes 12.6.1.27. For the high compatibility, you can use it on any computers freely to convert videos. 3. It has advanced features to convert iTunes videos to other format of media files so that to make the output video files being supported more widely. 4. It comes with a free trial version for both Windows and Mac, you can try it out for free. 1. If you want to strip FairPlay DRM technology from Apple music and audiobooks, etc, other than iTunes videos, you should discover another best Requiem alternative to achieve this goal. 2. In order to get the full version of this professional software, you should open your pocket with bell on. If you own the old iTunes version with the allowed operating system, Requiem is a really reliable iTunes DRM M4V removal freeware. However, if you have the new devices and latest operating system, which are not compatible with Requiem, all things you can do is to discover a perfect and professional Requiem replacement to help you remove DRM restriction from iTunes movies and TV shows. With built-in similar decryption technology, DRmare M4V Converter is the best Requiem replacement for you to crack the DRM locker from iTunes files with lossless quality. Thanks for sharing such professional software. When it comes to converting M4V to MP4, another useful tool called [url=http://www.tunefab.com/m4v-converter/]TuneFab M4V Converter[/url] can't be ignored. It can keep all audio tracks and subtitles after converting.